The State Bank of Viet Nam raised the US dollar exchange rate for the third time this year and expanded the dong's trading band in early August to counter China's move to depreciate the yuan. The decision is expected to influence the country's imports and exports this year. Viet Nam News reporter Mai Huong has a talk with Tran Tuan Anh, Deputy Minister of Industry and Trade about this issue. How has the recent devaluation of the dong been affecting the country's imports and exports? The central bank's adjustment of the US dollar exchange rate as well as expansion of the dong's trading band was a well-timed response to diminish negative impacts, particularly on the country's international commerce, of the continuous Chinese yuan depreciation. China's currency devaluation has negatively affected exports of other countries, including Viet Nam, in major markets such as the US, Europe and Japan. 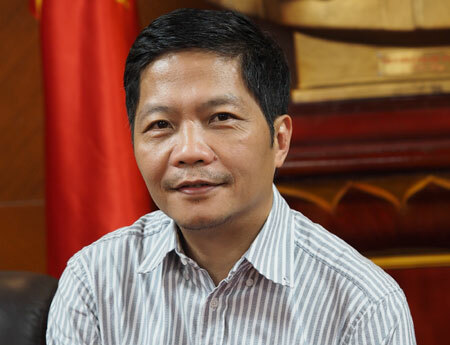 Viet Nam says bilateral trade with China is now more advantageous for Chinese exporters. The State Bank's decision helped ease pressure on Vietnamese exporters and ensure their competitiveness in export markets. This also helped reduce disadvantages for the country in the trade and investment relations with China. In theory, cheaper currency will help boost exports. Do Vietnamese commodities still have price comparative advantage seeing that currencies of other exporting countries have also declined? Many countries, including developed nations, have changed their forex policy after China let the yuan fall several times. This means countries are seeking to improve their export competitiveness. However, each country has different market segments. Through integration process, countries have specified their product segments in each market and their products can get a foothold based on brand value and comparative advantages. Being a developing and exporting country, Viet Nam also has its comparative advantages. It has a cheap and diligent labour force. It also has access to the shift in investment inflows that move from higher developed countries to develop the labour-intensive manufacturing sectors, such as textiles and footwear. Viet Nam is now the second biggest textile exporter to the US after China. Although forex changes could pose some difficulties for exporters, competition varies in different markets. Exchange rates affect a part of exporters' competitiveness. Other factors including production costs, brand value and product quality play a more pivotal role, but are still weak spots for Vietnamese producers. Thus, the most important thing is still the long-term strategy of enterprises in building brand, reducing costs, improving product quality and meeting standards in difficult markets. Viet Nam is accelerating its integration into global trade. We have signed 10 free-trade agreements (FTAs) and entered the final negotiation stages for other accords such as the Viet Nam-EU FTA or Trans Pacific Partnership (TPP). Is a currency war likely? From the viewpoint of an international trade expert, I think a currency war will not bring any fundamental and long-term benefits for any country, even the initiator or involved parties. Every country wants to maintain a stable environment which can only attained through a harmonic currency and financial environment. Depending on each stage, countries can adjust their monetary policy. However, this should not go beyond the country's control and threaten global currency and financial stability. Many exporters complain about export declines in major markets like the EU and Japan due to the fall in the euro and the yen. What should businesses do at this stage? Some products like seafood and processed food have experienced difficulty in the EU and Japan's markets. According to Customs statistics, Viet Nam's exports to the Japanese market dropped more than 5 per cent in August. The influence of the exchange rate is not long term and inferior to other elements like price, product quality and technology content which can threaten to decrease competitiveness. In the integration context, businesses should take the initiative in researching and building market strategy, defining their comparative advantages and increase market access. In addition, they should make regular updates on the markets and the trade policy of the Government to be well-prepared for opportunities presented from trade agreements. Lastly, companies must strengthen their competitiveness by raising the quality of their products. What is the prospect of the country's exports until the end of this year? Eight-months of exports have demonstrated great efforts of the whole economy and businesses. According to our statistics, exports expanded 9.3 per cent in the first eight months of the year, being short of the Government's target of 10 per cent growth, while the rise in imports was higher. The trade deficit was 3.2 per cent of exports, well in line with the target of below 5 per cent. The main reason could be attributed to the volatility of global oil prices. The oil price has fallen from about US$100 per barrel last year to about $40 a barrel. While the export of oil accounts for large proportion of Viet Nam's export value, the decline of more than 50 per cent in oil price has affected export results. Besides, major agriculture products, such as rice, rubber, coffee and seafood, are unlikely to rise due to strong competition from other economies, including Myanmar, Bangladesh (for rice) and restricted import policies from countries like Thailand and India. Considering that many nations reported sharp declines in exports to China, Indonesia and Malaysia, Viet Nam has made big efforts in enhancing competitiveness and expanding markets.